Whaaat? 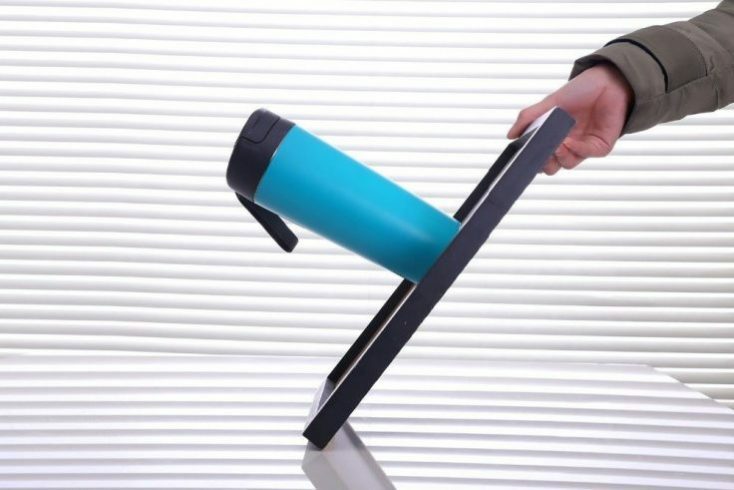 This cup stands easily on a vertical surface and can still be lifted without any effort. That’s probably why it has its name “MightyMug”. The “Smartgrip” system ensures that the cup always stands firmly on the floor. You can get pretty close to it without him falling down. The best thing to do is to watch the video, because it looks really crazy. The MightyMug is also waterproof, so it would never leak in your pocket. The capacity is 0.47 litres, which is enough for a large coffee. The Smartgrip system would have to be put under every beer bottle, then there would finally be parties without overturned beer bottles and without shards. All in all it’s just a very convenient design. Useful for everybody who keeps knocking over their mugs and bottles. And if I’m taken as a measure of that, it’s probably a lot of people. Especially on the way to work, there are so many people on the go with their coffees, teas and everything else, accidents can happen any time. And even if it tips over or you carry it in your bag, the desing is supposed to be absolutely leak proof. Other practical mugs are for example the self-stirring mug or the heat-sensitive Gameboy cup.